Fall Sessions: Aug. 17 / Sept. 17; Spring Sessions: Jan. 1 / Feb. 1; Summer Sessions: May 1. Tuition is $840 per credit in-state, $1,172 out-of-state. Online MBA students and regional residents pay the in-state rate. AACSB International accreditation ensures that we are offering you a quality program that may help you today—but ultimately provide you with the knowledge and skills for tomorrow. Our students tell us that we are exceeding their expectations in five key areas: personal development, advancing their knowledge/technical skills, seeing an increase in their salaries, a greater visibility at the organizations, and job placements. View our MBA program brochure. The University of Baltimore MBA offers 11 areas of specialization (plus three dual degree options) to enhance your career and help you meet your personal goals. University of Baltimore. In this video, he shares his thoughts about the UB MBA experience and what it's like to be an entrepreneur. Check out more videos from the MBA program. We're flexible when it comes to starting the UB MBA program. You have six opportunities to enter the program–at the start of any session–as indicated above. Next start date is April 1, 2019. See the University's Academic Calendar for more information. The Merrick School of Business has several program offerings for graduate students. The following post-baccalaureate certificates are linked to the MBA program. The following post-baccalaureate certificates are linked to the M.S. in Accounting and Business Advisory Services program. Read the article in the University of Baltimore Magazine that showcases alumnae and current MBA students. Prospective students applying before May 1 for fall admission, or October 1 for spring admission, and who have scored 500 or higher on the GMAT exam, will be given priority consideration for scholarships. 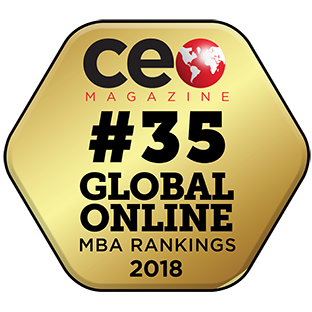 Learn more about our MBA and Online MBA programs. Upcoming Admission events for our MBA programs and Certificates. Tuesday, April 23, 6:30-7:30 p.m., "Graduate School Information Session," R.S.V.P. Wednesday, May 15, 6:30-7:30 p.m., "Virtual Information Session," R.S.V.P. You may also contact the Office of Graduate Admission for a personalized discussion. Contact us at admission@ubalt.edu or 410.837.6565. 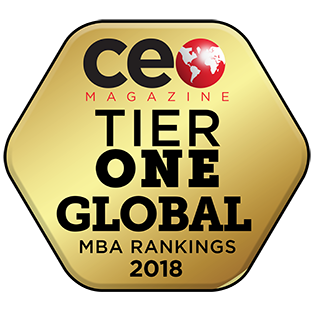 Both U.S. News & World Report and CEO Magazine have recognized the University of Baltimore as a top online MBA program.